When I moved into my home ten years ago, I was disappointed to realize that there was a giant avocado tree in the backyard. I’d never been a big fan of avocados, so I wasn’t too happy about cleaning up after all of the leaves and seedlings that the tree dropped in my yard! But then I discovered guacamole! I’d never eaten avocados in that way before, and once I did, I began to enjoy that tree! I also discovered that avocados were nutritious and great to add to my salads, sandwiches and wraps when I was dieting. There’s nothing more refreshing that a nice slice of avocado on a sandwich! Unfortunately, that big avocado tree was planted right next to our power pole and we had to take it down last year – the branches of the tree were growing around the power lines and sparking! Now that I don’t have an avocado tree anymore, I have started buying Avocados from Mexico that I can buy from my grocery store! It’s a win-win situation; I still get great-tasting avocados and I don’t have to worry about my house catching fire or clean up the mess that the tree made in my yard. 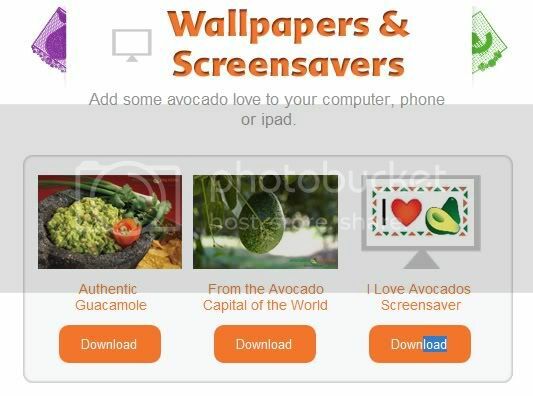 I just liked the I love avocados on Facebook page to find some new recipes, and found a bunch of really cool avocado-themed things like ringtones, badges and wallpaper and screensavers. 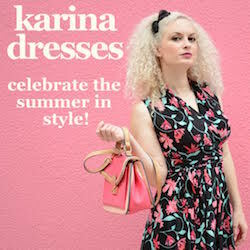 I can even send a virtual gift to a friend from their page! I downloaded the “From the Avocado Capital of the World” wallpaper and it certainly brightens up my laptop! 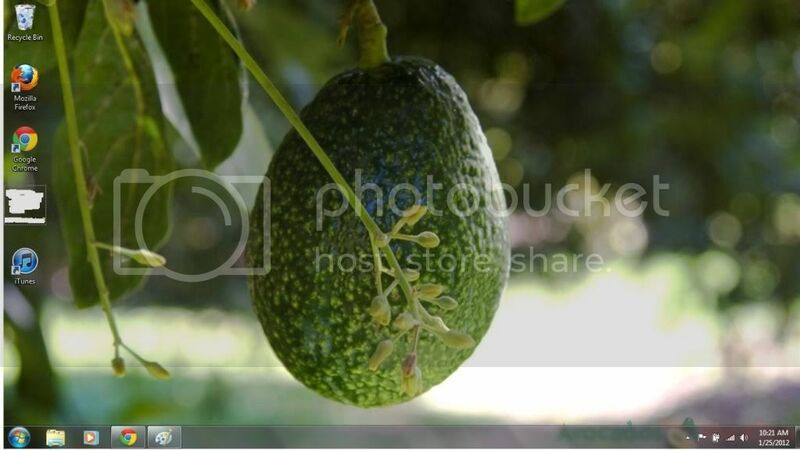 For lots of fantastic ideas on what to do with your avocados, connect with Avocados from Mexico on Twitter at @guacgrl. You can even tweet about your love of avocados by using the hashtag #iloveavocados – how fun is that? I personally do not like avocados but my family does, especially guac. I love that little I <3 Avocados button! First I am INSANELY jealous that you have an avocado tree! I used to HATE them, but in the last few months I have fallen in LOVE. I just cut mine up like an apple and sprinkle some McCormick’s Season All Salt on them…. of my gosh amazing. We just made extra spicy guacamole last night!! Avocado are good in salads, or by their selves. Ha this is cute. I grew up in Texas so guacamole is like mother’s milk to me. I eat avacado sliced with salt….YUMZ! I love avocados, guacamole, and anything else you can put it in! It’s by far one of my favorite vegetables. I’m not a fan of avocados. I used to make sure to give them to my kids when they were babies. My first and second ate them but #3 would have nothing to do with them. Now as they’re older, only the second will try guacamole from time to time. Otherwise none of them will go near it. Okay, I’ll be honest here. I’ve never had an avocado. Nor have I had guacamole. I’m TOTALLY weirded out by their color and their “wrinkliness”. I know, that probably isn’t even a word. BUT. I know my husband likes them so I’ll be sure to share your post with him! I just cooked with avocado for the very first time today! and I LIKED it! I’m not the biggest fan of them but I keep trying since I have to cook with them so often! I am a HUGE avocado lover! On tacos, on eggs, as guacamole, and I will even eat them cut up all alone with a bit of pepper!